Robert Paterson's Weblog: Amesbury III - English School Food - Yummy! Amesbury III - English School Food - Yummy! Heaven - or Toad in the Hole. Many joke about English food. Even today some may say that food in England has improved as it is possible to eat well everywhere now. But few take the idea of English food seriously. I want to put on the table that many of the classic English and British dishes are simply wonderful and are not to be disdained. I was introduced to many of the Classics at Amesbury. Classic English food of course has a context. One of the elements is that until recently England was a very cold place - there was no central heating. Hence suits until the 1960's were of heavy cloth. But boys wore shorts! Another element was that for boys, there was no sitting around. When not in class we were either out roaring around saving the empire or playing games. Another element was that there was no food industry. Our food was both local, seasonal and all cooked by real cooks. The new but important element was that England had been still faced with rationing until late 1954. There was still by 1959 not much of a habit of fruit. Apples yes but people still would be thrilled to get an orange in their stocking. Sugar was just coming back after a sugar famine of nearly 15 years. The main source of energy and calories was not sugar or its equivalent today corn, but fat. The main fat was beef fat - dripping or suet. So puddings and beef dripping/suet were essential to keep us going. There was one fat boy in our school - the rest of us looked like skeletons. Our metabolism were really running fast both to keep warm and to keep up with the active life we lived. It's not fat that makes you fat - it's simple carbs like sugar or worse, fructose - the main ingredient in soft drinks today. Talking about drinks, we had water with all meals except breakfast when we had tea. We also got a quarter pint of milk a day. Toad in the Hole was one of our favorites. It is essentially sausages baked in Yorkshire Pudding. Best with beef dripping as the base fat and English Bangers as the sausage. Here is a good recipe. The first type of pudding is a solid mass formed by the mixing of various ingredients with a grain product (e.g. batter, flour, cereal) or another binder (e.g. blood, eggs, suet). 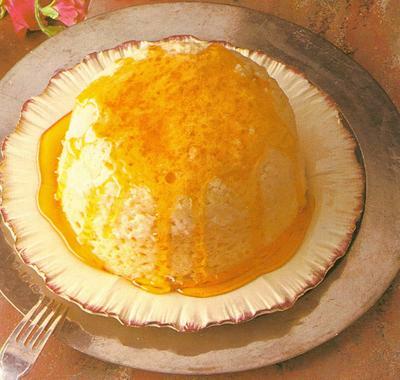 Puddings can be cooked by three methods: baking, steaming, and boiling. 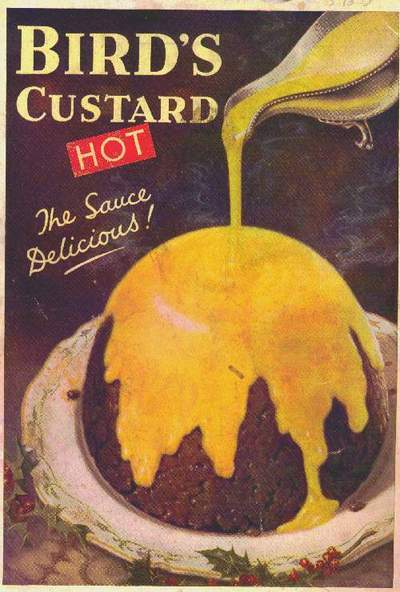 This type of pudding is still common in various places, especially the British Isles, and can be eaten as either a main-course dish or a dessert. Treacle Tart was another hit for us sugar starved kids. For breakfast we would get a slice of Fried Bread with most meals. Fried of course in either bacon fat or beef dripping. Amesbury had a large veggie garden - now of course a Tennis Court! Most of our veggies came from our own garden. In winter this meant, Brussel Sprouts, Greens, Cabbage, Potatoes or tinned peas. Whatever was in season we had. In mid summer it was glorious. In the fall exceptional. Chicken was very rare - it was not mass prodced in those days and was too expensive for a school budget. We had a lot of Mutton, some beef - lots of stews. Boiled mutton and caper sauce was one of my favorites as was liver and onions. Never did like fish pie though. We had very little bread. We allowed two slices at breakfast and at tea. At tea, we could have cakes sent from home. But there was an interesting rule. You were only allowed to have one piece of your own cake. You had to share the rest. So we all quickly got to know whose mum baked well and often. Binns was the boy in my time. His mum was a genius. She would really go to town on his birthday - Soccer Pitches, Rocket Ships, Tanks - so cool. My mum did not cook - so I got my cakes sent to me from Harrods. It was not considered good form and in the cake department I sucked badly. The one really strange thing about Amesbury and food was the culture of what happened later on - yes our bowels were taken very seriously. Each of us was assigned to a lavatory and we had to tick off our names after we had been. Simple enough - no one would really check. But now and then there would be a spot check and a roll of dishonor would be read out to the entire school. Binns, cool on cakes, I think had the record not having been for over 2 weeks! I can't recall the punishment - I don't think it was a beating. Perversely our diet was very healthy and fitted how we lived. It was an all natural, all local system that was ideally suited to the kind life that we lived. My only complaint was that we were always hungry. I mean really hungry - there just wasn't enough. Seems a lot as I look at it now, but we were so active that this just kept us going. I still eat very quickly. There might be enough seconds for maybe 2-3 helpings - if you ate like a Labrador, you had a chance.